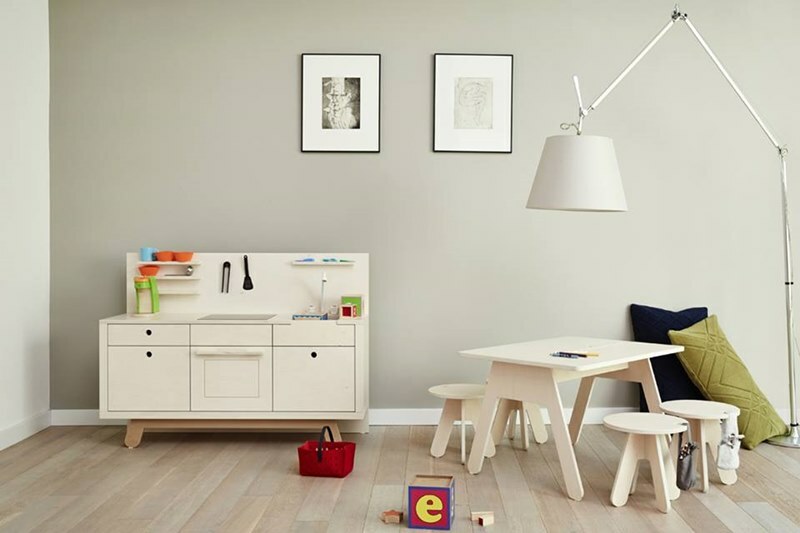 Kutikai is a newer furniture line for kids, made with fun aspects such as built in playhouse functionality, yet modern style, in neutral colors of white, gray and graphite so it looks perfectly in place no matter your space. Keep reading to see more of what Kutikai has to offer. 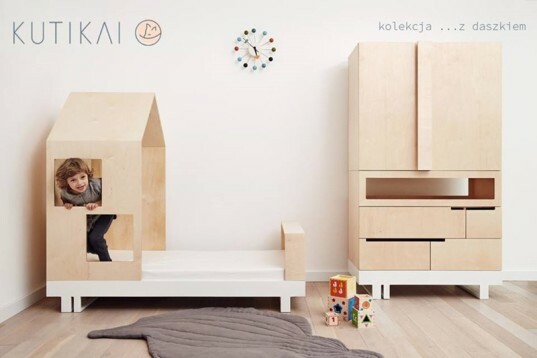 Friends Mary and Dorothy met “a long time ago while studying architecture in Krakow.” They then became interested in children’s furniture that’s safe and made with quality, thus they launched Kutikai. 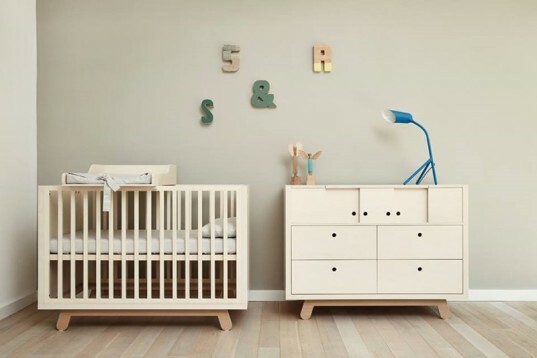 All furniture is made with solid Birch plywood that comes with quality certificates, and finished in eco-friendly paint that meets the Standard EN 71, meaning the finishes are free from heavy metals. Production of all of the furniture takes place in the family carpentry shop. This allows the company to fine tune the smallest details and end up with an exact representation of company ideas. 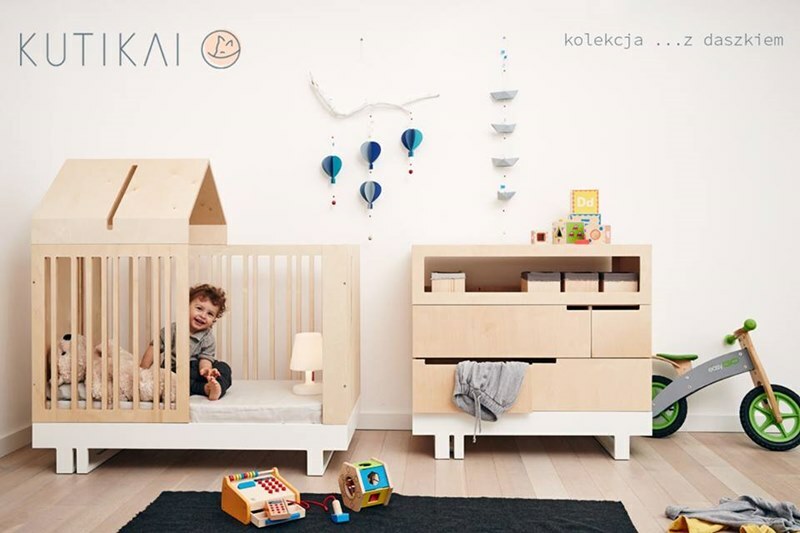 Kutikai pieces are built in a way that allows kids to experience independence and freedom. For example, mattresses are positioned low allowing free entry and exit and many of their pieces are designed to look (and act) like playhouses. The company has two lines including Line Cap, furniture that combines “functionality with a twist – peak and drawer treasures are the guiding themes.” There’s also Line With A Hole pieces, characterized by simple forms. To see all the furniture offered or find out about ordering contact Kutikai. Friends Mary and Dorothy met "a long time ago while studying architecture in Krakow." They then became interested in children's furniture that's safe and made with quality, thus they launched Kutikai. The company has two lines including Line Cap, furniture that combines "functionality with a twist - peak and drawer treasures are the guiding themes." There's also Line With A Hole pieces, characterized by simple forms.